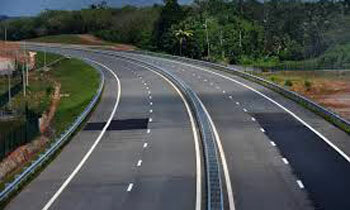 Chinese Ambassador in Colombo Cheng Xueyuan has informed Prime Minister Ranil Wickremesinghe that the Chinese government has approved USD 1 billion as funding for the phase one of the Central Expressway project. Exiam bank ? What are the conditions and the interest rate? Looks like the game has stated as the end is near. Any yahapalana voter interested in calculating the cost per km? or are they not interested in it anymore? Unchikan, the beggars have no choice, you have to take what has given. Enjoy the road after completion of construction. Hope it is not at unconscionable interest. Meanwhile now get cracking on the work. Have something tangible to show by end 2019. Very soon, Sri Lankan Government has to mortgage our Country to settle the Loan money. Like any country that obtains a loan for highways. It will be managed my toll fee untill the loan is paid off and then passed over to the state. There was a highway in Sydney Australia that was managed by the private fund provider for 25 years whilts the loan was paid off by toll fees and then handed over to the state. Looks like the Central Expressway will be part of China's Silk Road...USD 1 Bn for a single phase of the road. Our politicians must be salivating.